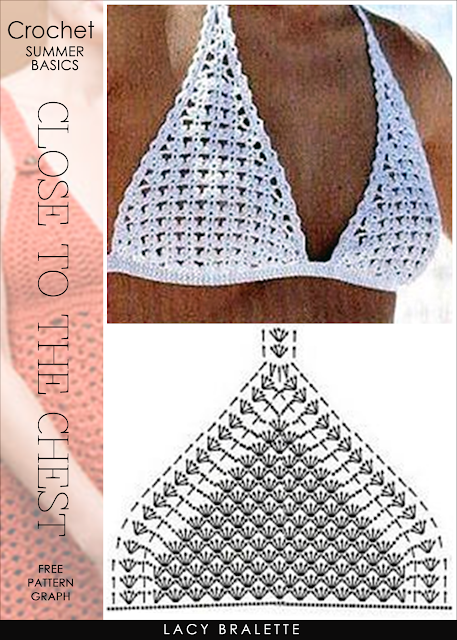 Crochet is everywhere, partly due to the popularity of the boho chic look, and that includes a lot of crochet whether it's dresses, vests and bikini halters. As a result, at various music festivals like Coachella, crochet bikinis, bralettes and halter tops have never been more popular. That free-spirited flower child lives on in cut-off jeans, floppy hats and long fringes fluttering in the wind. Shades of Woodstock, free love and rock and roll. 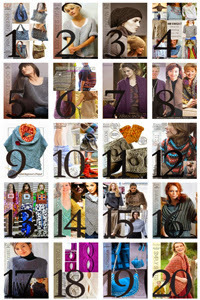 In a previous post (click here or on image below), there were many requests for the pattern featuring a bustier on the inspiration page. 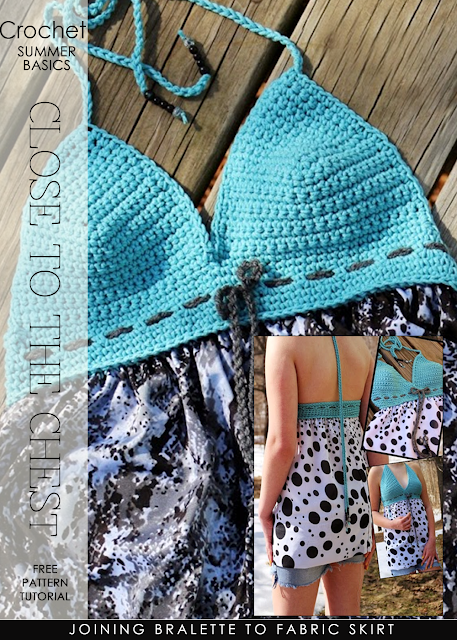 This post features several different pattern designs for bralettes and for those who want a bit more coverage, cropped halter tops. 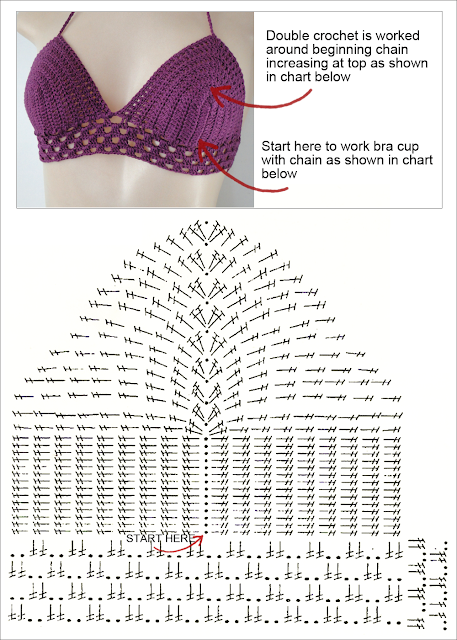 Be sure to read further for helpful, visual diagrams and charts for bralettes, free patterns as well as video tutorials on how to crochet different halter tops. Click on image of past post featuring over top bustiers.